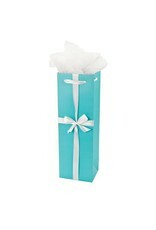 A single-bottle gift bag with tissue to match, and a gift tag. 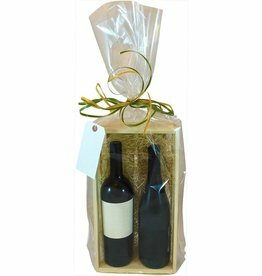 Gift bags fit most wine, Champagne, and spirits bottles. Scotch and other whiskies that come in a gift box or tube will generally fit in gift bags as well. Boxed Champagnes generally will not fit. A single-bottle bag with tissue to match, and a gift tag. 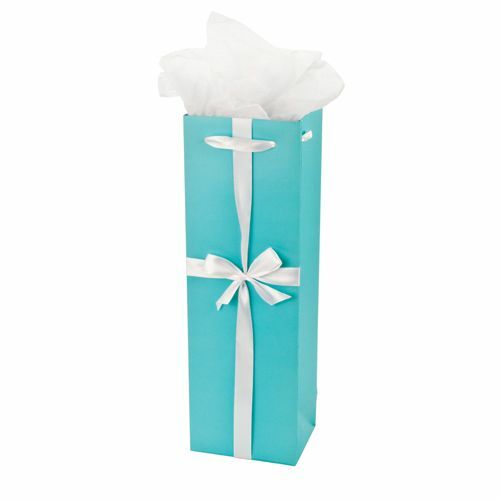 Gift bags fit most wine, Champagne, and spirits bottles. Scotch and other whiskies that come in a gift box or tube will generally fit in gift bags as well. Boxed Champagnes generally will not fit. 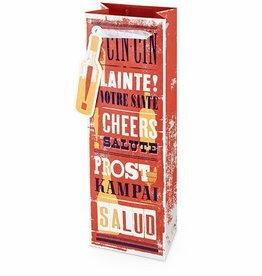 A single-bottle gift bag, with gift tag. 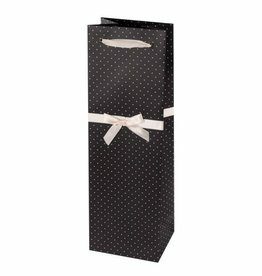 Gift bags fit most wine, Champagne, and spirits bottles. Scotch and other whiskies that come in a gift box or tube will generally fit in gift bags as well. Boxed Champagnes generally will not fit.